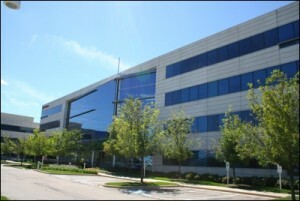 This impressive office building is located in the far north suburbs of Chicago. 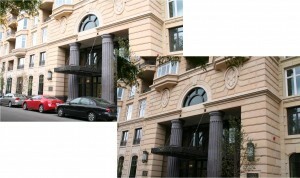 It incorporates several precast techniques to create the visually appealing final structure. Two color mixes were used for contrast: a sandbuff and a brick red. Two different textures were then incorporated into a smooth acid-etched finished and into a stronger rock faced texture. The design of the panels were gracefully radiused an also high articulated to create a striking look. 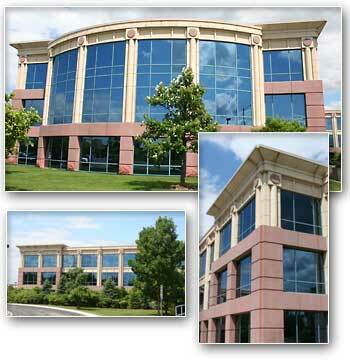 This attractive building utilized prestressed precast concrete panels. Prestressed panels allow full weight bearing design loads and can withstand constantly changing weather conditions without cracking. This is a very important feature for the Chicago area. This three-story building’s prestressed precast panels utilized two color mixes with acid-etched and sandblasted finishes with genuine stone embeds for a visually attractive exterior. The owner also realized substantial savings using prestressed panels on this project. 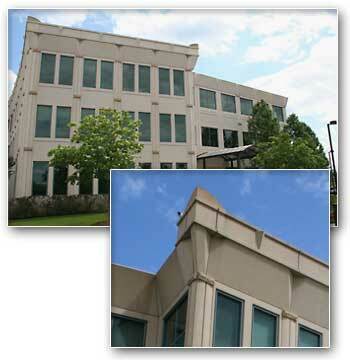 This project was a challenge requiring two-story precast panels. These Panels were 15′ wide which required pre-stressing and post-tensioning in two directions. The panels are also load bearing which required recessed pockets for the bar joists. 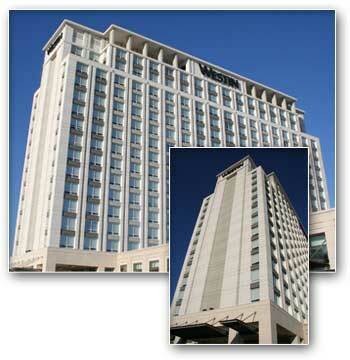 The two story panels were used at the base to accommodate meeting rooms and a restaurant. The panel finishes were acid-etched and sandblasted. The remainder of the high-rise building was poured in place concrete. 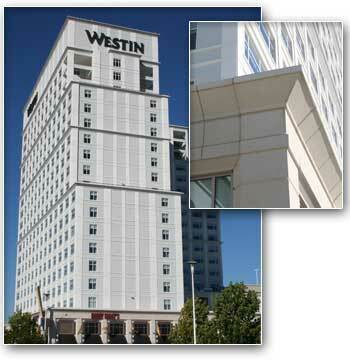 As a compliment to LAPPCO’s excellent work, this is the second project awarded by the Westin hotel group. The precast portion of the building was two story, two color, acid-etched, brick clad, load bearing panels. This was used for the restaurant and meeting rooms at the base of the hotel. This impressive all precast building is a testament to Lombard Architectural Precast Products skill and extensive experience. It involved three different color mixes, three distinct finishes, acid-etched, radiused, high articulated panels and a rock-faced battened wall at the base. This complicated project was completed on schedule and on budget. This stadium is home of the Chicago Fire Soccer team. It is a mixed use building hosting concerts and other activities. 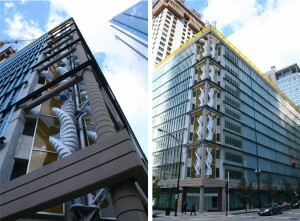 This project demonstrates the many uses for precast. 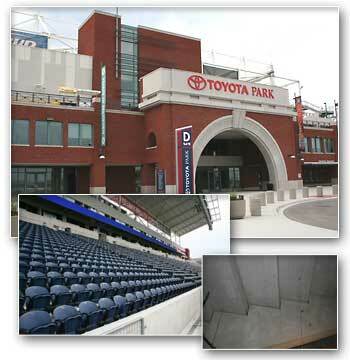 All the stadium seating area is precast concrete, the columns, raker beams, risers, treads and tubs. LAPPCO was selected over several other firms to complete this unique project. Beltones Architects utilized the sandwich wall precast panels to create an attractive two-story building at a considerable savings. The panels incorporated a central core of insulation. They were prestressed and load bearing, supporting the roof and second floor. These features are two main advantages of sandwich wall construction. The 12″ exterior panels had recessed window openings which were acid-etched darker to enhance th look. The panels also utilize two finishes, one sandblasted in the field and the other a simulated granite. Being a general contractor, Leopardo fully appreciated the advantages of precast panels for their corporate headquarters. LAPPCO working closely with their design group selected prestressed sandwich wall panels for this project. These panels are load bearing with enclosed insulation which is very cost effective and facilitates a faster construction schedule. Two color mixes were used for the exterior to create a striking image. 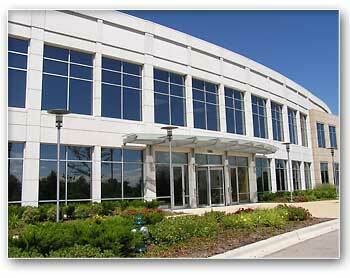 LAPPCO was pleased to be awarded this contract especially by a contractor for their own corporate headquarters. This was a very unique and demanding project. The precast panels were granite clad. A special vacuum lifter was used to place the granite panels in place. Stainless steel pins were used to secure the granite to the precast panels. Since granite and concrete expand and contract at different rates these stainless steel pins were utilized in a unique system to provide a co-efficient of friction to prevent the granite from cracking. Black granite from Canada was utilized. The panels needed extensive pre-erection preparation at LAPPCOs plant. A perfect example of LAPPCOs ability to produce very complex precast projects. Here again LAPPCO was selected for this project having earned an excellent reputation for accomplishing demanding projects. 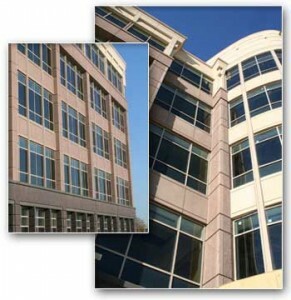 This major office center has many unique precast challenges. 20 corners to facilitate the complex design. LAPPCO finished this complex project on schedule and on budget. 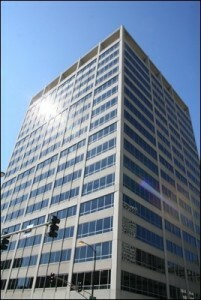 Located just west of Chicagos loop this high-rise required an escalated construction schedule. 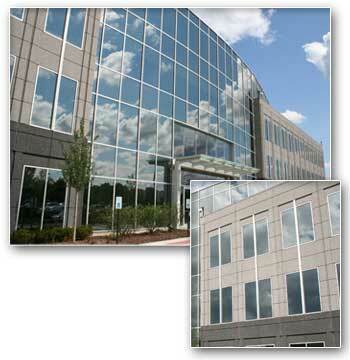 The project consisted of two color precast panels with two finishes-one acid etch and the other sand blast. Project completed on schedule. 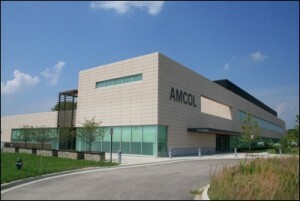 This is the headquarters of Amcol International. After an intense bidding process LAPPCO was selected for the lowest bid and their reputation. This building was a primarily precast building. Precast panels were prestressed to facilitate structural integrity. The majority of the panels incorporated golden marble limestone quarried from the Mississippi River. 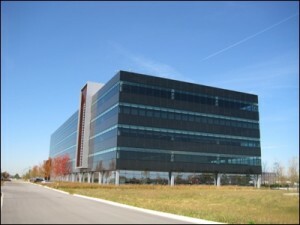 This twin office building is a unique project with horizontal ribbon look, precast panels with large expanses of windows. The panels were acid-etched. The Art Institute of Chicago is one of the greatest art museums in the world. When they decided they needed more room they hired the internationally renowned firm of Renzo Piano. The design called for hundreds of precast concrete components. The Art Institute and the architect Renzo Piano selected LAPPCO as the only precast plant to accomplish the project. There were many intricate panels some load bearing needed. Multiple finishes were required. LAPPCO also produced precast flower planters to line Monroe Street. LAPPCO completed all components to very exacting specifications and on time. LAPPCO was given a unique challenge on this project. They needed to create a special custom color and finish to match an existing historic structure. This was accomplished to the complete satisfaction of the owner and architect. A perfect example why LAPPCO is selected for more complex buildings. 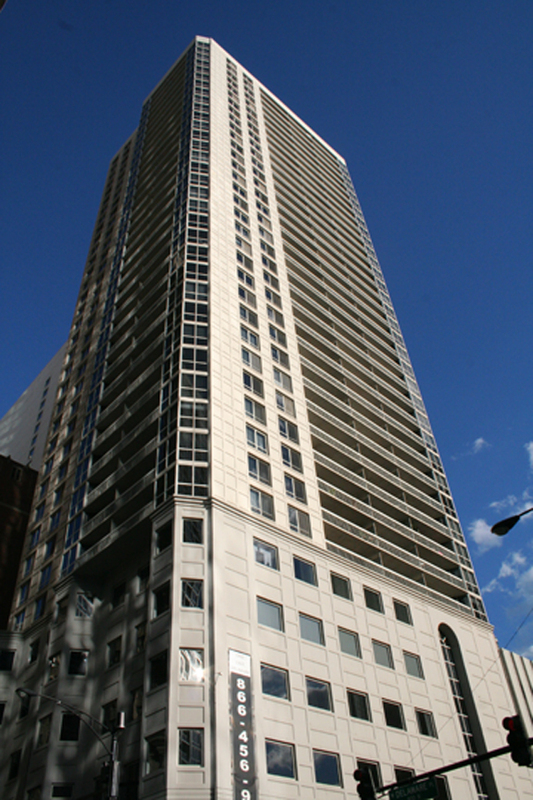 10 East Delaware is a luxury 35 story high-rise in the heart of Chicago’s famous gold coast. This 424,836 sq. 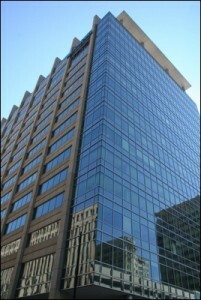 ft. building is in a high traffic area. LAPPCO’s vast experience working on difficult sites was one of the reasons they were selected for this project. The building incorporated many different precast finishes including cast stone and granite inset into the panels on the first floor. There is a very interesting precast feature of this parking garage. It is a 10 story precast column at the building corner around which a kinetic sculpture revolves. Adding another unique place of public art to the city of Chicago. The rest of the parking garage consists of 120 precast panels. This project is a testament to LAPPCO’s reputation for very complex precast panels. This is a 30 story condominium building in Chicago’s most desirable north side neighborhood. The top stories were simple precast panels. The first two stories needed LAPPCO to produce the very intricate precast panels incorporating granite and limestone surfaces. LAPPCO completed the project exceeding the expectations of both the owners and the architect. This building is a perfect example of the construction advantages of precast concrete. It was under construction during one of Chicago’s coldest winters. The building has the look of hand laid brick. It is actually brick face precast panels. It would have been impossible to lay brick in those temperatures, sometimes as low as 0° F. With the use of precast the brick clad panel’s construction continued throughout the winter months to finish on time and at a considerable savings. 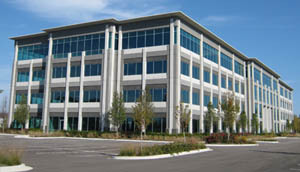 The completed building is 51,000 sq. ft. consisting of 385 precast panels. This unique building in downtown Normal is truly a multi use structure. It consists of a new Amtrak station, waiting areas, a food court, retail spaces and the upper floors are Normal’s municipal offices. LAPPCO provided the exterior and interior architectural spandrel panels for the adjoining five-story, 380 car parking structure. This consisted of 134 panels totaling 29,000 sq. ft. of precast. 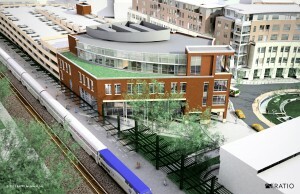 To achieve a unified look with the center, brick clad panels are applied to the second floor of the parking structure. This is a perfect example of how precast construction can integrate with other construction methods.